Immerse Yourself In Luxury at THE VILLAS AT PLEASANT VALLEY COUNTRY CLUB... Join & Play a Round of Golf Just Steps From Your Backyard OR Simply Kick Back and Enjoy the Amazing Atmosphere and Manicured Location of Your Surroundings! Set Amongst Unparalleled Homes & Grounds; This Custom Built - One Owner - Detached Baltusrol Model Design Boasts a Cozy Custom Kitchen Featuring Stainless Steel Appliances, Gleaming White Cabinetry & Breakfast Nook, Elegant Dining Room with Charming Built-In Hutch, and Bright Inviting Family Room with Gas Fireplace; Perfect for Entertaining Friends & Family. Interior Finishes Are Highlighted By Ample Custom Trim Work, Wainscoting, High End Moldings & Hard Wood Flooring Throughout the First Floor. 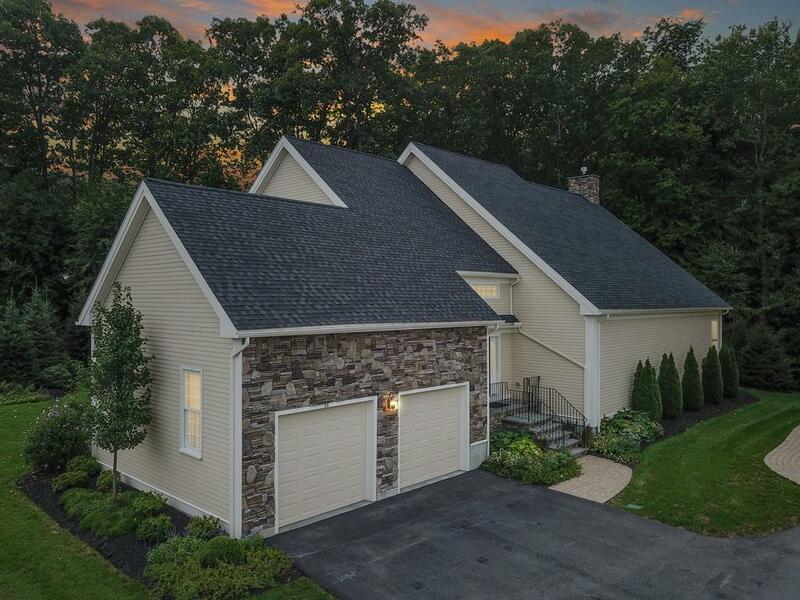 Additional Home Features Include a Sizable First Floor Master Suite with Double Walk-In Closets, Enclosed Three Season Room AND Finished Basement Complete with Additional Half Bath; Offering Great Potential for Use as a Home Office, Workshop, Gym or Play Room.